Employers should be aware of another change to the Form I-9. Today, the U.S. 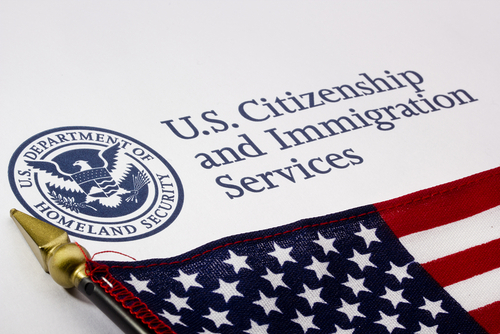 Citizenship and Immigration Services (USCIS) published a revised version of Form I-9, Employment Eligibility Verification. The new version bears a revision date of 07/17/17 N. The Form I-9 has been revised twice in less than one year. By September 18, 2017, employers must use only this new version (rev. 0/7/17/17 N). Until then employers can continue using Form I-9 with a revision date of 11/14/16 N or use this new version. The Instructions for Form I-9 and the Form I-9 Supplement have also been updated. According to the revised Handbook for Employers: Guidance for Completing Form I-9, the employee must complete Section 1 “at the time of hire (by the first day of their employment for pay).” Remember, you cannot ask an individual to complete Section 1 before he/she has accepted a job offer. CalChamber added the new Form I-9 English and Spanish versions to the HRCalifornia website, along with the Instructions for Form I-9 (and Spanish) and the Form I-9 Supplement. All of these forms are available for free. CalChamber members can read more on I-9 Form: Verifying Eligibility in the HR Library. Not a member? See how CalChamber can help you.